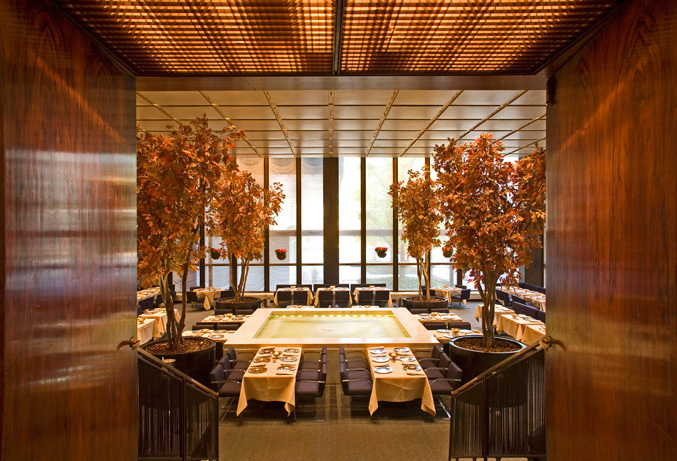 It’s 1959 and the Four Seasons Restaurant, a masterpiece of midcentury grace, is about to open in mid-town Manhattan’s acclaimed Seagram Building designed by Mies van der Rohe and Phillip Johnson. The 20’ tall windows of the pool room and front bar have just been furnished with metal curtains, a series of draped chains designed by textile artisan Marie Nichols and made from hundreds of thousands of aluminum loops. In the minimal setting of carefully selected French walnut panels, the subtle arc of the drapes were to be a prominent feature. And that’s just about the time that the installers notice something odd. Despite the perfect stillness of the space, tiny waves are undulating up and down through the drapes with a dizzying affect. Mind you, this is an unexpected occurrence in one of the most restrained and calculated rooms in Manhattan. This is a dining room that will host presidents and royalty, and a bar that will pour martinis for the rich and famous (and the occasional riff-raff like ourselves). As best as they can determine, the condition is a factor of differing air temperatures on each side of the drapes, or a result of the imperceptible air movement from the HVAC system, or a well-mannered ghost. Who really cares after a few martinis (see disclaimer below)? The point is that the solution is beyond their power to solve. And at this moment, 60 windows worth of drapes rippling with a hypnotic regularity are spelling disaster with a capital ‘D’. A restrained panic occurs (it is the Four Seasons after all). Phone calls are placed. 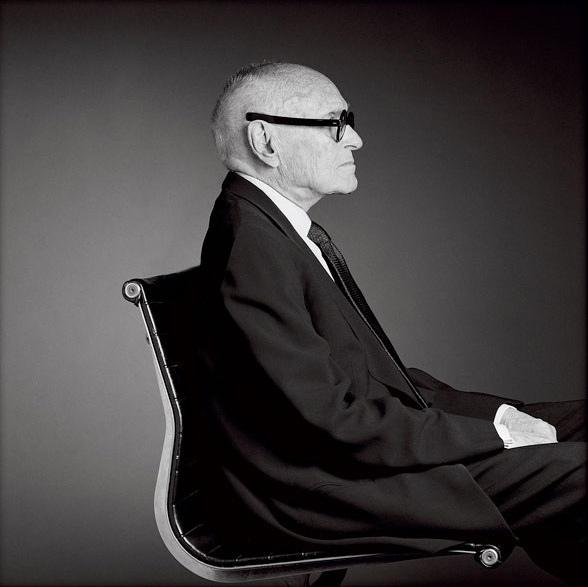 In the midst of the flurry, in walks Phillip Johnson with his big round glasses, and quietly observes the scene. His clever intellect blows right past the mechanics of the situation and, instead, he goes straight for the jugular of social perception. To an audience that includes the contractor, the restaurant manager, the wait staff, and a handful of installers, Johnson calmly and succinctly proclaims the gentle flutters to be beautiful. And from that moment on, the shimmering drapes take on an alluring elegance. Like a switch, the drapes flipped from dizzying undulations to seductive flutters. It just took one carefully delivered word from just the right person. 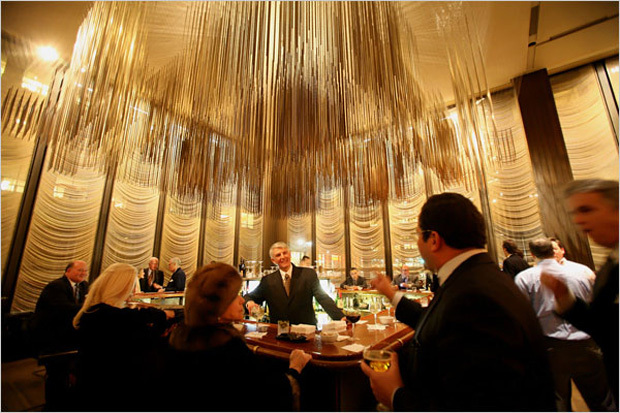 A half-century later, the metallic chain drapes of the Four Seasons Restaurant have become so significant to the experience that people can’t imagine the space without them. 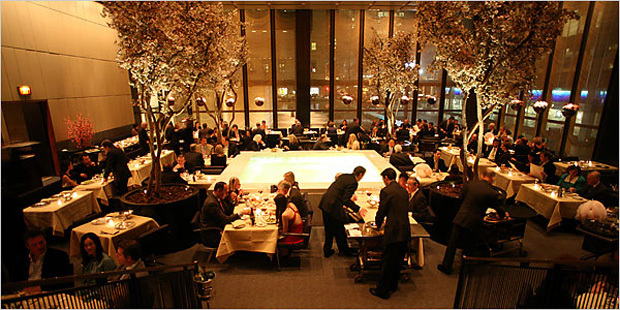 They are such a necessity to the establishment that the Four Seasons spends a ridiculous amount of time and money to maintain them just as they are. The situation in 1959 could have just as easily gone the opposite direction, involving a delayed opening, replacement drapes, piles of lost money, and a disgraced design team. Obviously it didn’t, but that’s not nearly as interesting as why it didn’t. The conundrum wasn’t turned around because of mechanical skill, elbow grease or throwing more money at a problem, but because someone knew the right thing to say in the right way at the right time. One could argue that one man’s problem is another man’s poetry, and that Johnson simply went with a gut reaction that it was beautiful to him, but there’s more to it than that. Johnson’s praise was a carefully played chess move and a brilliant marketing spin. The discipline of design is just as much a social study as it is a mastery of materials and methods. Knowing how buildings go together, understanding the building code, and having a good sense of aesthetics are all critical pieces, but they are just the fundamentals. More often than not, what separates a good designer from a great designer is an understanding of people and a mastery of the language that connects them. There is no substitute for the ability to read your audience and convey in words exactly what needs to be said. Even if it’s only about the drapes. * Disclaimer: We were three martinis deep by the time we dragged this story out of the bartender at the Four Seasons front bar. Our written version here may or may not bear any resemblance to factual events, the story you heard, or for that matter, the story we heard.